B.M. Guitar Performance – To develop the 21st century guitarist’s skills in interpretation, improvisation, and composition across a breadth of stylistic landscapes encompassing traditional and contemporary music. To craft a deep technical fluency in either classical or jazz while preparing students for the modern, entrepreneurial music business. M.M. Guitar Performance – To develop the master guitarist as an artist-scholar with a profound expertise in traditional styles and a clear artistic vision. 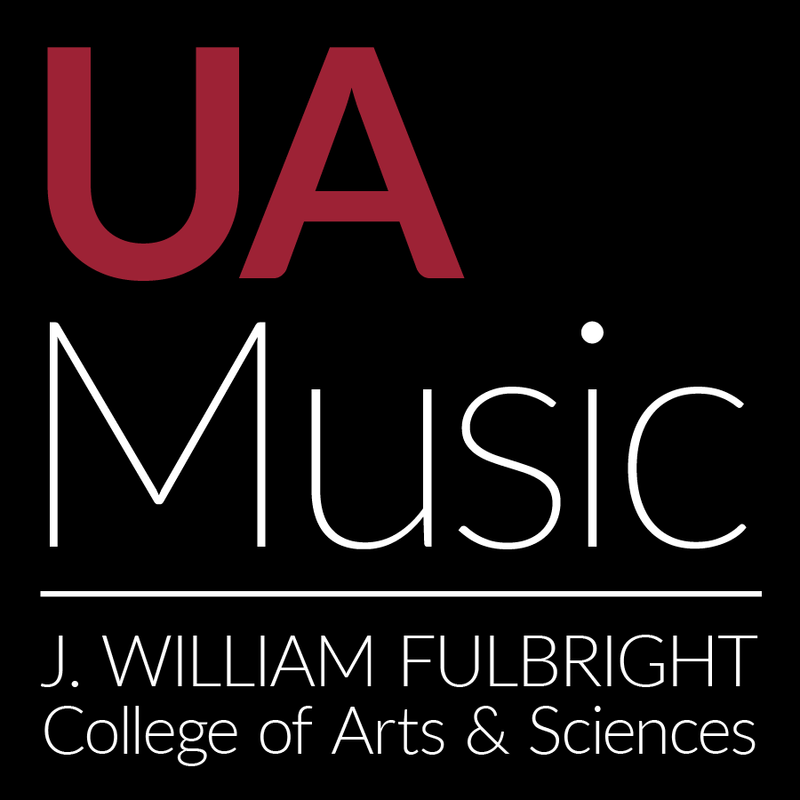 The guitar program at the University of Arkansas is focused on the core components of Performance, Composition, Pedagogy and Artistic Development. In addition, students will study a wide range of music with a primary emphasis on either classical or jazz styles. Performance – Students focus on technique and style, transcription, interpretation and improvisation. Students will perform and compose in a large range of historical styles in order to achieve the most complete concept of the instrument. Proficiency exams and juries are given to document students’ technical progress. Ensembles ranging from orchestra to chamber ensembles, jazz big band, jazz combo and guitar ensembles allow students many performance options each semester. Composition – In private lessons and in guitar seminar class students will compose using a wide range of guitar specific techniques derived from both the classical and jazz world. As students advance through the program more composition opportunities arise via music department coursework, ensembles, and special topics courses. Pedagogy – A feature of the Masters program, guitarists have the opportunity to teach group guitar classes and private lessons under faculty supervision in order to develop their pedagogical concepts. The Community Music School guitar programs also provide a great opportunity for graduate students to teach in many styles, both group and private lessons. Artistic Development – In order to achieve a successful career as a musician, a guitarist must develop a wide variety of skills both on and off the instrument. U of A guitar tailors instruction to each student and aims to give them the skills to pursue any musical and artistic direction that may come their way. Students will receive not only traditional jazz and classical training but also individualized instruction in music industry practice that will allow them to have the greatest number of career choices upon graduation. The masters program in guitar at the University of Arkansas is focused on individual artistic development. Students can concentrate on classical, jazz, or studio guitar and all courses will include components of commercial music production and performance. Year One – Legacy: Intensive performance/research project concentrating on two or three contrasting players or composers. Performance and analysis of transcriptions, or multiple works, final presentation of music and written analysis. Year Two – Artistic: Preparation of student choice program for performance and recording. Must contain at least some original material. Focus on developing artistic concept, all selections must be faculty approved. Jake Hertzog is a multi-genre award-winning guitarist, composer, songwriter and educator currently based in New York City. He has six critically acclaimed jazz records as composer and leader. The Jake Hertzog Band has headlined throughout the U.S. and Europe including The Blue Note in New York and Montreux Jazz Festival in Switzerland. Jake has three records released with his rock band The Young Presidents and his recordings have made it onto the charts in the jazz, rock (AAA) and pop/dance genres. Jake’s rock songwriting and production work has been featured on MTV and Vh1. For three years Jake toured as the musical director and guitarist for Nickelodeon stars Nat and Alex Wolff, appearing at arenas, theaters and festivals across the country and numerous national television engagements. He has performed and recorded with some of the finest talent in jazz and rock including Randy Brecker, Ivan Neville, Mike Clarke, Barry Altschul, Dave Liebman, Blondie Chaplin, Anton Fig, Ingrid Jensen and countless others. Jake has contributed over 30 instructional jazz guitar articles to Guitar Player magazine under the alias “Hey Jazz Guy” and has taught workshops across the US, Europe, Latin America and India. Currently Jake is set to author a book for Hal Leonard on extended guitar techniques called Guitar SFX in 2017. Jake is a winner of the Montreux Jazz Guitar Competition, holds a performance degree from Berklee College of Music a masters degree from The Manhattan School of Music in New York and is now on music faculty at the University of Arkansas.